Paris and Los Angeles were the two last cities left in the race for the 2024 Summer Games, with four others -- Hamburg, Rome, Budapest and Boston ,having pulled out amid concerns over cost and size. When the International Olympic Committee’s 100-plus members sit down next week in Lima to vote on the hosts of the 2024 and the 2028 Olympics, it will be a rare case of the result long known. Paris and Los Angeles were the two last cities left in the race for the 2024 Summer Games, with four others — Hamburg, Rome, Budapest and Boston – having pulled out amid concerns over cost and size. With the Games having lost their sheen and cities now viewing them as a financial burden rather than a glorious opportunity, the IOC changed the bidding process and decided to award two consecutive editions at the same election. The IOC session in Peru will therefore lack the usual dramatic moment when the name of a city is pulled out of an envelope as Paris will be awarded the Games in seven year’s time and the Californian metropolis getting the nod for 2028. No heads of state will fly into the Peruvian capital for frantic, last-minute lobbying as the IOC members will merely be ratifying a “tri-partite” agreement between the two cities and the IOC on September 13. 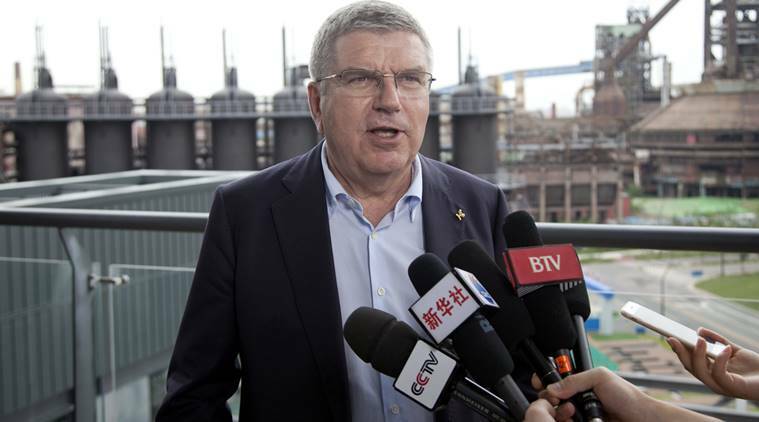 IOC President Thomas Bach said the process in the past was “creating too many losers” and the decision for the double awarding would now be “a win-win-win” for all three parties involved. Los Angeles had to concede the 2024 Games to the French capital but will still leave Lima with an Olympic Games of its own in the bag. Paris, which like LA has hosted the Games twice before, will no doubt be the bigger winners, having got what they set out to get. French President Emmanuel Macron’s presence at an IOC meeting in July made clear the country’s strong commitment to land their first Summer Olympics since 1924 after three previous failed attempts. The vote is hardly the big celebration the IOC would have wanted as ongoing criminal investigations into alleged corruption linked to last year’s Rio Games serve as a timely reminder that all is not well within the Olympic movement. IOC member and Games head Carlos Nuzman had his house searched on Tuesday as authorities probe claims of vote-buying dating back to before the surprise 2009 decision to award Rio the Games. Doping at the Sochi 2014 Winter Games in Russia, graft in Rio and the suspension of other senior IOC members, including Namibian Frankie Fredericks and Ireland’s Patrick Hickey, over corruption allegations in the past 12 months, have further tarnished the organisation’s image. The IOC is desperate to end this rocky bidding process with two solid and arguably more transparent partners in place for the next 11 years, a decision which they hope will restore some credibility to the world’s biggest multi-sports event.